For over 15 years, I've counted on Solo Build It! (also known as Site Build It!, or SBI!) to teach and support me in building this website. When I first began this online business I really didn't know much about building a website, let alone a profitable online business. SBI! has been the most important tool and resource in my online journey. I am not being compensated for this SBI review. I created this page (and the video) to help anyone who is seeking to find a quality website building solution. I hope you find this SBI review helpful. 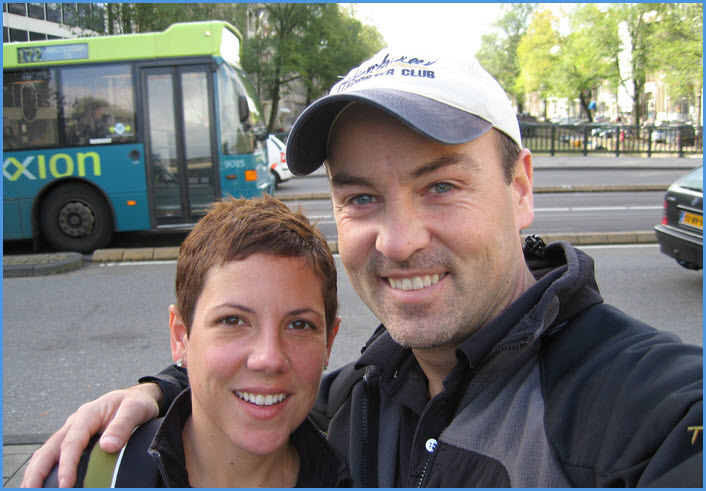 Go to SBI's most recent enhancements that keep saving me time and money! From a young age, I’ve always enjoyed reading stories of people facing tough challenges, who overcome those challenges and go on to achieve great success. My 30+ career in the financial industry has provided me with valuable opportunities to learn and grow as a leader, and to appreciate the importance of both personal and professional development. From the time our three daughters were born, my wife and I have always said that we are raising “independent women of the new millennium.” It’s important to us that our girls grow up to become confidant, determined and self-reliant young women. We want to equip them with the knowledge and belief that no matter what happens in their lives – good or bad, they possess the self-confidence, tools, and resources necessary to effectively respond to any situation they face. The girls have grown up hearing more than their fair share about leadership and personal development. But they understand that this work is something their Dad really enjoys and that I get a lot of satisfaction out of learning and helping others. These are important lessons that I hope they will remember and implement in their own lives. 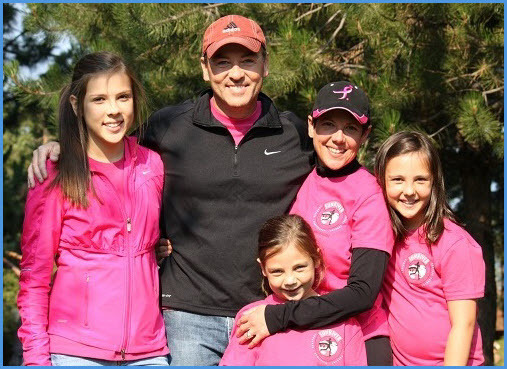 "Leadership-Tools.com was created for my girls, and everyone else who is interested in becoming a more confident and effective leader." I’m proud of what Leadership-Tools.com offers to regular people who are interested in improving their lives and the lives of the people they lead, and I’m grateful for the personal and professional development I’ve experienced since beginning this online business. Back in 2002, I discovered Sitesell, which is a Canadian based company that is dedicated to helping small business owners and entrepreneurs build successful online businesses. 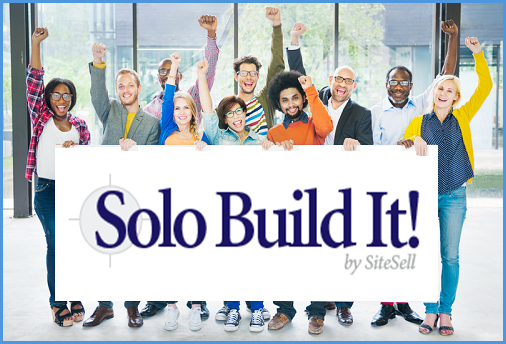 Sitesell provides an all-in-one website building solution called Solo Build-It also known as SBI!, and it provides Solo-entrepreneurs like myself a system for building not only a great looking and functional website, but more importantly SBI! provides the tools and resources that have been critical for creating and maintaining a profitable online business. I’ve used Solo Build-It! now for over 15 years, and I recommend it to anyone seeking to create a successful online business. Here you’ll learn more about my online journey and how I’ve used Solo Build-It! every step of the way. This SBI review is NOT meant to give the impression that building a business is easy, but - with SBI! it IS doable. Over the years the Internet has grown exponentially. As seen here, our website has went through multiple changes. Each step in our online journey we’ve had faith in SBI! to tell us what we needed to know, and after 15 years they’ve never let us down. Notice how basic our original design was? Through each subsequent design, new bells and whistles were added. Compare prior versions with how our site design looks today. This is a fully responsive design that looks great using any device. SBI reviews and creates hundreds of design templates and provides a complete library of themed designs that can be customized, and they are also fully responsive, meaning no matter what device you are viewing the website from (desktop, laptop, iPad, smart phone, etc), the site will look and function as intended. Using the new SBI! site design templates, there really is no limit to what you can do in terms of site design. While you can get as much into the technical aspects of things as you’d like, most site owners (myself included) don’t want to have to deal with all the behind the scenes technical issues, we’d prefer to remain focused on building and growing our online business. SBI! does everything possible to manage the technical side of the business for me so that I can remaining focused on the task of researching and providing my visitors with great leadership content. Although Solo Build-It! has risen to meet the needs of a fast-paced business environment, one thing that has been constant is the approach they take to build a quality website. If you remember only one piece of this SBI Review, this would be it. This is the pathway to success online… it’s been this way for the past 15 years - it’s still true today and it will remain true in the future - and because we have followed this path, we’ve been successful. The path to success are in these four letters. C – T – P – M… which stands for CONTENT – TRAFFIC – PREsell – MONETIZE! 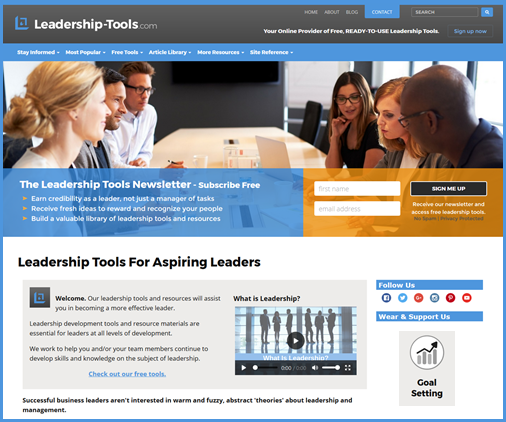 Leadership-Tools.com is a theme-based content site. It’s a topic I chose because leadership is an area that I am passionate about. Leadership is a topic that I enjoy learning about and I love sharing insightful information and tools with other like-minded people. By following the SBI! Action Guide, our site is comprised of keyword-focused topic pages that are directly related to the leadership theme of the site. Each page is built to score well at the Search Engines. SBI reviews each page before you build it to ensure your content will attract humans and search engines. This is how we get to our C… which is Content. Next, is T for Traffic. The content we’ve built automatically generates targeted traffic to the site by ranking highly in the Search Engines. SBI reviews and reports on your web traffic daily so you can track your progress and see where your traffic is coming from. I’ll show you an example of targeted search engine traffic in a moment. "The CTPM process is a proven long-term strategy for building income through the valuable content you create. It’s the “secret sauce” of Solo Build-It! and the key message of this SBI review." P… stands for PREsell. When visitors arrive at our site, we do our best to exceed their expectations. We strive to over-deliver with the goal of creating such a strong connection with each visitor that they are compelled to remain connected. By providing immediate value to our customers, we begin to earn their trust. We don’t try to SELL to our customers. That wouldn’t feel good to them or us. Instead, by fostering a relationship, our visitors are pre-sold with high-value information… information they are looking for… tools and resources they can immediately benefit from… and information that earns us credibility and develops trust. M… is for Monetize. When we do have something of value to sell to our customers - because they already know and trust us - and rightfully believe that we have their best interests at heart, they are naturally more likely to make a purchase. That’s a quick high-level view of the CTPM process, but for this SBI review I’ll share some additional details. Providing great leadership tools and resources for people seeking to improve their personal and professional lives just happens to be one of my passions - it's a special area of interest that I really enjoy. A key point of this SBI review is that every successful online business should be about something you are passionate about. The content you create will be of better quality and higher value if it is about a subject that excites you. From the very beginning I wanted to provide great leadership tools and resources to people who didn’t otherwise have access to high quality tools for personal and professional development. It just never made sense to me that anyone would not have immediate access to tools that could improve their life. It shouldn’t matter where you are located or how much money you make, these kinds of tools should be accessible and affordable to all. SBI! was the perfect solution for me because they have the same philosophy about building quality websites. The SBI! 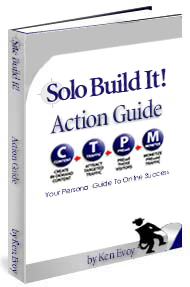 Action Guide breaks everything down into a systematic process that anyone with a passion can be a successful Solo-preneuer. Your passion can be on just about any topic you can think of. Some ideas are more profitable than others, and SBI reviews how you can identify the potential of your idea. SBI! provides the knowledge and tools you need to determine which subjects have the most opportunity to be monetized. The tools are simple and the SBI! Action Guide explains it all, no special technical skills are required. Your main job is taking the knowledge that is currently residing in your head, as well as your personal experiences that only you can share, and converting that information into quality content that will be of value to people with similar interests. The knowledge you currently possess, converted to quality content with the help of SBI!, can turn your passion into a successful online business. Solo Build-It! taught me how to identify key words that I could win at in the Search Engines. I build pages around those keywords and offer high-value content, which SBI reviews through it's Analyzer, and in doing so ensures that our information is found by like-minded visitors. Need proof of the key points made in our SBI review? Good, you should not only want proof, you should DEMAND it. 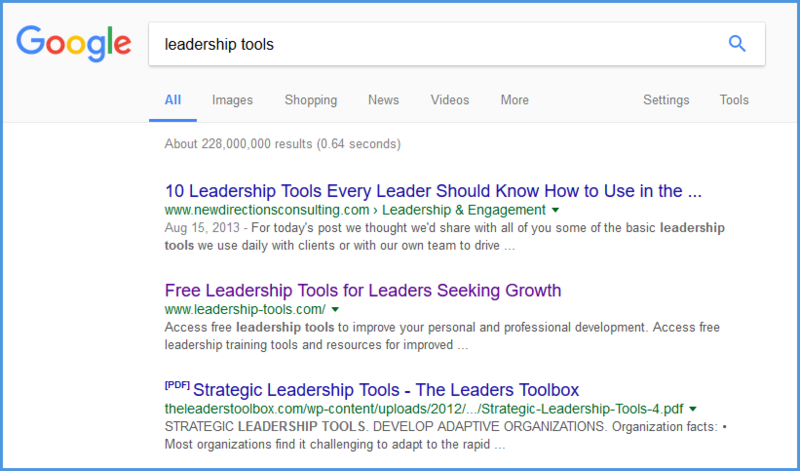 Go to Google and type in the key word “Leadership Tools” (with no quotes), you’ll see that our site is somewhere on the first page of the rankings. At the time I took this snapshot we were at the #2 spot, but our ranking tends to fluctuate from #1 to #8. 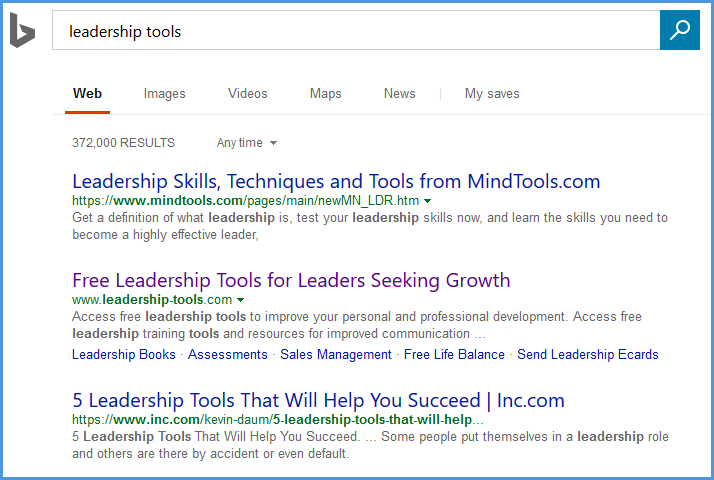 Since the first 6 months online, we have consistently been on the first page of Google for the "leadership tools" keyword, which is our homepage. Now consider for a moment that out of the 228 million listings for this particular keyword, Google lists my homepage on its first page. This is a very big deal and I attribute that success to the CTMP process (again, the key thing to remember in this SBI review). It's due to this success that I'm willing to take the time to create and share this SBI review. It’s a fact of business life that the lifeblood of any business, whether it is online or offline, is high quality TRAFFIC? An online business without targeted traffic is pointless. We follow the CTPM process to ensure that we are building a website that WORKS… one that naturally and consistently generates free organic targeted traffic… not just locally, but on a global scale. For over 15 years Solo Build-It! 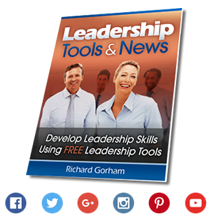 has been the system that’s enabled Leadership-Tools.com to attract and grow an audience. Without SBI! my site may not have become anything other than an online brochure. But thanks to Solo Build-It! and yes, my own focus and hard work, Leadership-Tools.com receives tens of thousands of targeted visitors from over 150 countries every single month. Bing is another major Search Engine, not as big as Google, but still an important source of targeted traffic. Again, here you see that out of their 372,000 listings, Bing ranks us 2nd for our homepage. Again, rank varies from time to time, but we are consistently on page one. Now consider the fact that Leadership-Tools.com is currently comprised of over 400 keyword focused web-pages, each one SBI reviewed and approved. While not all my pages rank on page one, many do, which compounds the amount of targeted traffic my site receives. Best of all this is free search engine traffic. We do not advertise at all for the traffic we receive. The traffic is free and it’s targeted, which is the best kind you can get. "Small steps daily lead to big results." Okay, we’ve covered C… Content and T… Traffic, now I’ll share a little more about how we address the P… Pre-sell. Our goal is to WOW our customers when they arrive at our site. They’ve obviously come to us because they’ve searched a keyword and they are looking for great solutions or tools about Leadership. So, we want to not only deliver on what they are looking for, but we want to OVER deliver. So much so in fact that they will come back repeatedly, and perhaps even share our site with their like-minded friends and co-workers. A gift, free use of our eCards, short video clips they can use for their meetings and longer video selections they can leverage for leadership development. Additionally, we provide free access to our entire leadership tools library, and high quality leadership articles on subjects such as business planning, sales management, leadership development, customer service and team building. And we don’t stop there, visitors can receive gift ideas, read leadership book reviews, and access free eBooks and audio-books from our library of classic self-growth selections. The purpose of our newsletter, blog and social media channels are to create and maintain a strong connection with our readers. 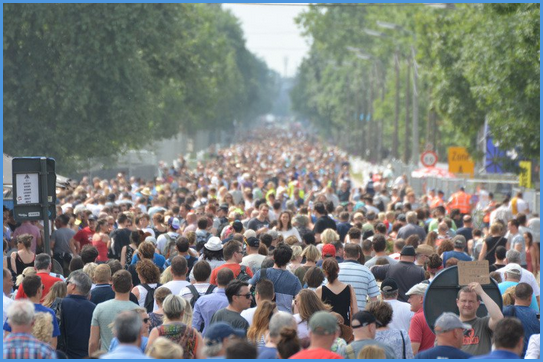 Again, we do all of this for our visitors because we want them to stick around; we want them to stay connected… and that is precisely why we currently have 30,000 subscribers to our monthly newsletter. I know our customers can unsubscribe at any time so it’s up to me to continue to provide value, but that’s not a problem because I truly enjoy the subject of leadership and self improvement - that’s why I built the site in the first place. This is exactly why Solo Build-It! is committed to helping their customers to identify a niche that they are passionate about. It would a shame to go to all that work to build a site only to discover you’ve become bored with the subject… so again, building an online business around your PASSION is the key message of this SBI! review. Passion is also key to making a profit. Let me be clear, one of the primary messages I want people to take away from this SBI! review is that Solo Build-It! is not any sort of get-rich-quick scheme, and it's not about making easy money. Building an online business takes time and hard work. But keep this in mind too… when you are spending your spare time on a subject you love, an area that you are passionate about, the work doesn't feel like work. Before you know it, you have created a second source of revenue for you and your family, and believe me… that feels great! I won’t go into all the various ways you can monetize a website, but if you’ve poked around Leadership-Tools.com you’ve probably noticed that we partner with a limited number of advertisers. Specifically, Google Adsense has worked well for us over the years. Each time a visitor clicks on an ad, Google pays us a few cents for the lead that is generated. 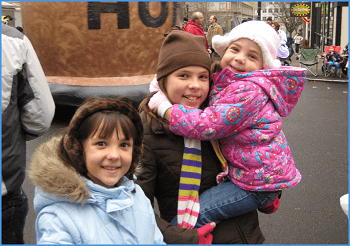 Those pennies add up to dollars, and over the past 14+ years we’ve received over a quarter of a million dollars. Yes, that’s over $250,000.00, working only in my spare hours, doing something I really enjoy. Now if you break that down into a yearly average, that's over $16,000 per year. Earnings do vary from year to year, but it's about the closest thing to passive income that I've ever seen. Google Adsense is just one of many revenue streams that I utilize. SBI reviews and recommends a wide variety profitable ideas and provides an entire module on monetization options that provides a wealth of information. I believe in the Sitesell company and its founder Ken Evoy. I've had the pleasure of meeting Ken and I greatly respect him for his commitment to excellence, and because of that commitment (and the results produced) I fully recommend the Solo Build It! product. SBI! is a tool that helps people create websites that WORK – no one else does this as well as SBI! That’s not just my opinion, I’ve done my research and have not found another company or product that provides clear evidence, in the form of high-traffic websites, like that of Solo Build-It! Unfortunately, some other web building businesses say they out-perform SBI!, but in reality their results aren’t even close. One key offender is a company called Wealthy Affiliate. They compound their misinformation by encouraging their customers to write articles/reviews that appear to be making an honest comparison of Wealthy Affiliate to SBI! - only to ultimately recommend Wealthy Affiliate as the better option of the two. To put it bluntly, I consider these Wealthy Affiliate vs. SBI reviews to be a total scam. Although deceiving, it’s a pretty slick approach as they don’t outright slam SBI!, but rather they gently lead the customer to Wealthy Affiliate in the final assessment. They claim that they have the results to prove it, but quality examples of successful websites using their product are nowhere to be found… their claims of superiority are simply not true. These fake reviews became such a big problem for Sitesell that Ken took the unusual approach of initiating a scientific-level study to determine what the real comparison of the two products would unveil, and they announced their findings in this press release. The bottom-line result of the study reports that SBI! far outperforms Wealthy Affiliate. But don’t just read my SBI review, you can read the study and decide for yourself. The reason I bring up this example is because it’s important that you always do your research before making an important decision. There are literally thousands of FAKE Wealthy Affiliate reviews online. Today the primary culprit is Wealthy Affiliate, but tomorrow it will be some other outfit preying on people’s trust. Ken Evoy, on the other hand, is an open book when it comes to sharing the results of sites created using Solo Build-It! SBI! provides an entire directory, with example after example (hundreds in fact), of SBI! supported sites that rank in the top half of 1% of all the sites on the Internet, which is now over 220 million sites. I love this page because it provides real examples of successful sites that I can browse, be inspired by, and learn from. There is also a wide diversity of niches covered - none are those cheesy "make money online" type of sites. These sites are all online businesses that are passion-driven and results focused. As you review the results, notice the range of writing styles, the many different tastes in design (from very basic and plain to really great looking sites), sites also vary in age - some are only a year or two old, while others are more than 10 years old. The SBI! results page is updated periodically to rotate sites in and out so all the best sites get to share the spotlight. Unfortunately, Leadership-Tools.com is not currently listed, but we’ve been included many times over the years and we hope to be included again in the future. The essential point here, in terms of proven results using Solo Build-It!, is that no other company that I’m aware of can do this. If they could, they most certainly would. There are many other SBI! reviews that are written by site owners like myself. To view their stories, go check out their SBI Reviews. "Every person is defined by the communities they belong to." When I first began Leadership-Tools.com, SBI! did not offer a forum for its members. We were pretty much on our own to follow the SBI! Action Guide. Following the guide worked quite well because the instructions in the SBI! Action Guide are very clear. However, when the forums started, for me it quickly became a place where I met other SBI’rs, created new business partnerships, and worked through various business challenges. It also gave me an opportunity to help others. In fact, Ken established the forums as a place where members of the SBI! community could, in his words… “Help and Be Helped”. One of the most active members in the forum is Ken Evoy himself. How many CEO’s do you know that regularly invest their time being actively engaged with their forum members? This is very impressive to me and I know it means a great deal to the entire SBI! community. You simply can't write a complete SBI review without assessing the quality of the people behind the product. Ken and his entire team are there to assist whenever possible, and they make sure to capture any pearls of wisdom and best practices, and they turn those into “how to” articles for the benefit of all the members. This has grown into a highly valuable library of tools and resources. If SBI! is something that interests you and you’d like to learn more details on the entire process, I encourage you to watch the Solo Build-It! Video Tour. The SBI! Video Tour takes about 30 minutes and it well worth your time. You'll see the inner workings of the Solo Build-It! tool. You'll see each step of how a website is built and how each page on the site is smartly configured around high demand, low supply win-able keywords. Here you’ll see in much greater detail how SBI! 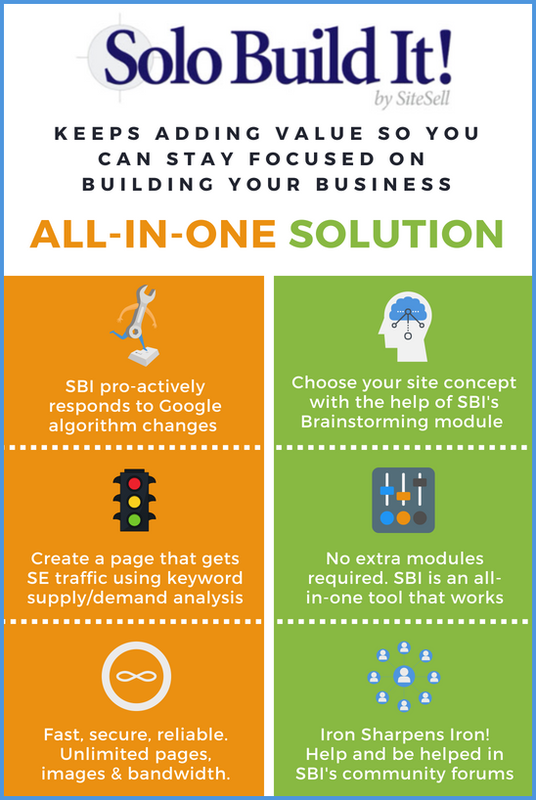 helps you to choose your niche, identify high demand/low supply keywords, build a blueprint for a site, create a web design, and you’ll see exactly how web-pages are built using the full suite of modules that are included in SBI! This video is also a great example of the quality of video tutorials that are provided for the entire SBI! Action Guide. You might think that once you buy SBI! you are buying a product "as is", and anything above and beyond will require an additional investment. However, with Solo Build It! you'll continue to receive more value, but without additional fees. Over the past 15 years, I can't count the number of valuable updates and enhancements that Ken and team have provided - and not once has the annual fee went up. Now that's not just valuable as a business owner, it's invaluable. Due to the fact that I can count on the SBI! team to be on the lookout for upcoming changes in search engine or technology, I can sleep soundly at night and wake up knowing all I need to do is remain focused on building great content for my business. SBI! always lets me know when I need to make a change or update my site to keep the search engines happy. 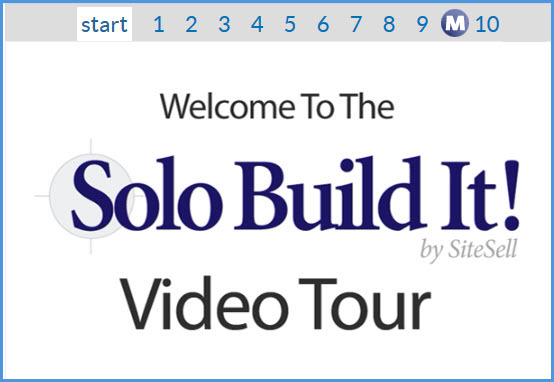 Check out the countless tools and resources that have been fully integrated into Solo Build It! Most of these benefits didn't exist when I first purchased SBI!, yet they choose not to pass on these investments/costs to their subscribers. When changes to my site are required the Solo Build It! team tells me about it in advance. More importantly, they don't just tell me about it, they provide support tools to assist me in making the necessary changes and I receive step-by-step instructions on how to quickly implement the updates. Recently Sitesell announced the addition of a modal module that site owners can use to ensure visitors receive important messages. "Modal? What the heck is a modal? A modal is that sometimes annoying pop up (aka: overlay) that you see on some websites when you are about to exit the site. The modal is a customized message that tries one more time to remind visitors about a major benefit of the site. While it's true that for some people a modal can be annoying, it also happens to be very effective so we decided to test it out. On our site we use the modal to remind visitors to subscribe to our newsletter to enjoy immediate access to our leadership tools library. Again, another great enhancement to Solo Build It at no additional cost. Thanks SBI! The most significant piece of European data protection legislation to be introduced in 20 years comes into force. The EU General Data Protection Regulation (GDPR) strengthens the rights that individuals have regarding personal data relating to them and seeks to unify data protection laws across Europe, regardless of where that data is processed. Google has to make sure they are following the new law but they make little effort to help webmasters to do the same. As far as Google is concerned, you are pretty much on your own. However, as a Solo Build It! subscriber, I am never on my own. SBI! told me about this coming change and provided the necessary updates to ensure the SBI! community is prepared. HTTPS (Hypertext Transfer Protocol Secure) is an internet communication protocol that protects the integrity and confidentiality of data between the user's computer and the site. Late in 2017 I converted Leadership-Tools.com from HTTP to HTTPS to ensure that the search engines would designate my website as a "secure site". Effective July 2018, Google’s Chrome browser will mark non-HTTPS sites as ‘not secure’. That would NOT be good so making this change was very important. As you can imagine, when people are searching the internet they want to feel safe. Therefore, it was imperative that I make this change so that visitors would not hesitate to click to my site. How did I know to make this important change? Simple, SBI! told me in their newsletter. They always inform subscribers before a major change takes effect, and they walk us through the entire process. Moreover, they didn't charge me a dime for the significant investment they made to ensure all their subscribers would have the necessary tools and resources needed for a successful transition. Thank you for taking the time to learn more about Leadership-Tools.com and Solo-Build-It! I hope you have found this SBI review helpful, and whatever your special interest or passion might be, don’t hesitate to try out SBI! Neither Ken Evoy nor Sitesell has paid me a penny to write this SBI review, and I do not make any money if you buy SBI! after following any of the links on this page. I've taken the time to share my experience here because I know this is a product that can add tremendous value to your life - SBI! works. I'm not only a satisfied customer - I’m a raving fan of Solo Build-It!, Ken Evoy and the entire Sitesell organization. As you can probably tell, I truly enjoy what I do. 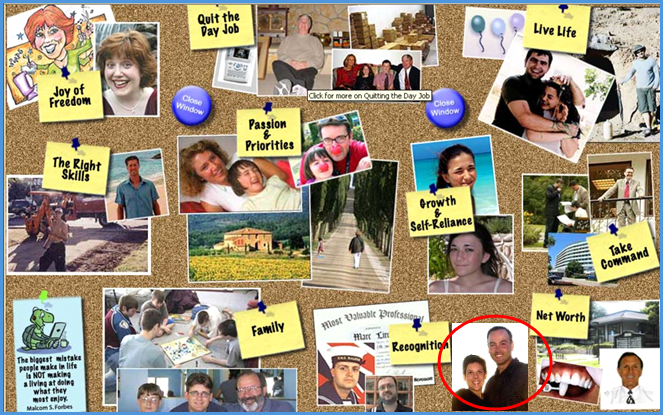 I am blessed to have a wonderful family, a fulfilling career, as well as a home-based online business that allows me to follow my passion for leadership development and self-growth. My personal wish for you is that you too are able to successfully seek out and identify what it is that you are truly passionate about in life, and even profit from it by sharing your passion with others. Whether you are a student, a corporate executive, a stay-at-home mom or dad, retiree, or other – this SBI review was written to show you that opportunity is right in front of you. Whether you do so online or offline, it’s never too late to begin experiencing the rewards of pursuing your greatest ambition. I wish you all the best in pursuing your own passion, and please don’t hesitate to let me know if I can help you along the way.